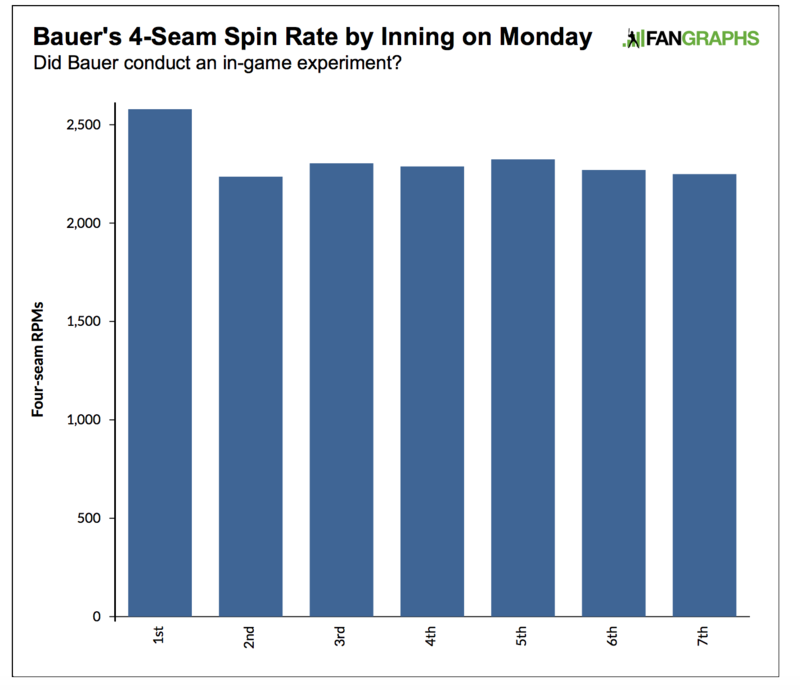 Last week, Trevor Bauer neither confirmed nor denied having made a point about how foreign substances can increase spin rate. Bauer wants the sport either to enforce rules against pine tar and other illegal, tacky materials used by pitchers (that’s about impossible, as Bauer acknowledges) or make grip-enhancing legal. While employment of a foreign substance resides outside the rules, there is little enforcement of those rules unless they are openly defied. 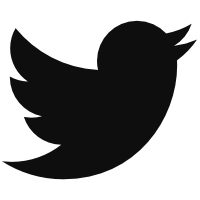 Spin is thought to be largely an innate skill, difficult to increase dramatically. Generally, the more velocity a pitcher has, the more spin a pitcher is capable of producing. There is a relationship between spin and velocity, so if a pitcher can increase his velocity, he can reasonably expect to increase his spin rate. Maybe pitchers will find ways to more easily add spin without substance. Maybe they already are. Kyle Boddy of Driveline baseball documented at least one case of a player he believes has increased spin without substance or velocity: the Cubs’ Carl Edwards Jr. There are different types of spin. Gyrospin is like that of a bullet has coming out of a rifled barrel or a football thrown in a tight spiral. It reduces movement. We probably have a lot to learn about pitching science, and perhaps what Edwards has done is instructive. But for the purposes of this post, I was curious to look at spin increases from a team-level perspective after looking at the individual changers last week. If a team could — legally or illegally — increase spin among a number of its pitchers, it would hold a massive competitive advantage, at least for the moment. As we know, the greater the spin rate, the more “rise” effect the pitch has, the more it resists gravity, the more swing-and-miss it generates. That’s been proven by Driveline Baseball, where Bauer trains, and FanGraphs’ own Jeff Zimmerman. Last week, Jeff and I examined the greatest individual spin-rate changers and decliners. We weren’t concerned with identifying whether these pitchers were legally or illegally enjoying spin gains. We don’t know. And there are further issues with pitch labeling. This author was also curious to see how prevalent rpm increases were at the team level in addition to the individual changers. I wanted to answer this question: could we identify teams that were better at teaching/adding spin? This isn’t a perfect study. The samples are relatively small, ranging between six and 18 pitchers per team. There are pitch-labeling issues amongst fastballs, and one injured player becoming healthy could skew the data. The Astros — or, at least, some Astros — are adding spin, as you might have heard. The Blue Jays Dodgers, and Yankees are also doing it. 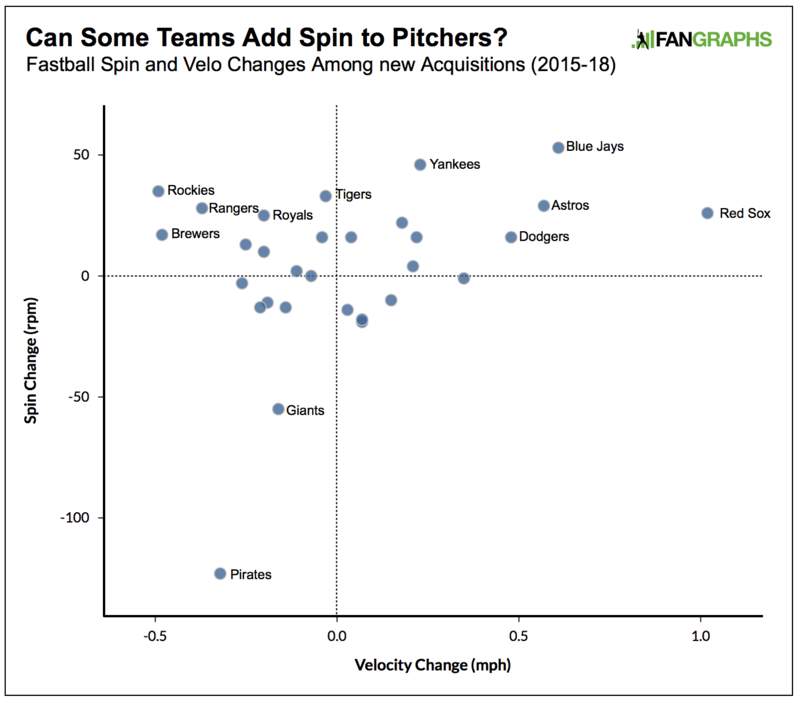 The Blue Jays have added the most spin, but the Red Sox are an outlier when it comes to adding spin and velocity. Fernando Abad (84 rpm), Roenis Elias (83), Doug Fister (52), and Jean Machi (124) were amongst the significant spin gainers in Boston. Abad, Elias, and Fister all picked up at least 1 mph in velocity. The Pirates are a curious outlier on the other end of the spectrum, as their new acquisitions have actually lost considerable spin and velocity. But perhaps it’s not all that surprising when we consider that they Pirates have prized ground balls and two-seam fastballs and have often asked that pitchers trade in sinkers for four-seamer. So perhaps there is some pitch-labeling issue here and/or a way to teach reduced spin going on in Pittsburgh. Felipe Vazquez has lost 200 rpm on his fastball compared to his time in Washington. Teams that are adding spin but losing velocity are most curious. If teams can add spin rate — and preferably without substance — that would be quite the competitive advantage. Bauer claims it have a greater effect on performance than steroids had on offensive numbers. And maybe he’s not wrong. He perhaps showed us how dramatic the effect can be. If teams can harness spin rate, legally or otherwise, they’ll have an edge. Likely a significant one. We hoped you liked reading The Astros Aren’t the Only Team Whose Pitchers Are Adding Spin by Travis Sawchik! Do you find a correlation between adding spin plus velocity and performance improvement? What about Eduardo Rodriguez for the Sox?